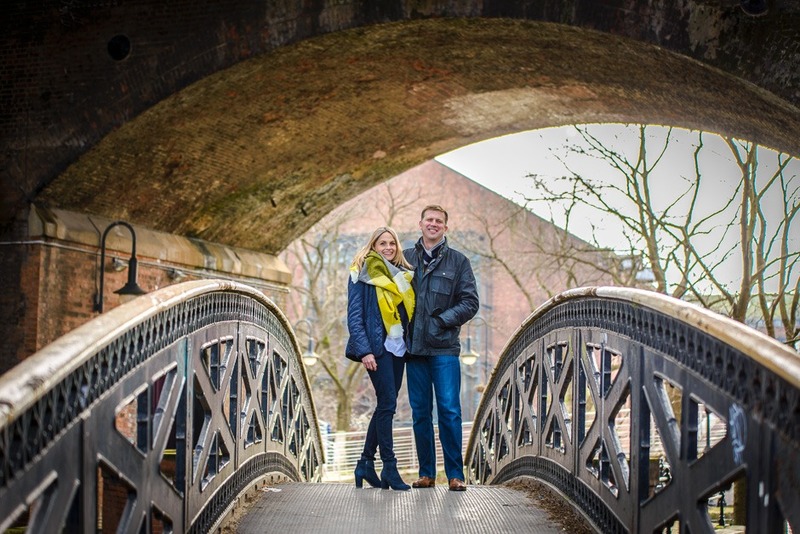 An engagement shoot in Manchester City Centre and Castlefield. It’s always a good idea to have your engagement shoot in a different style location than your wedding. Kelly & Richard are tying the knot at Cherry Orchard Farm for their Cheshire wedding later in the year so what better ‘juxta’ location than some industrial and gritty locations around Manchester. The weather was perfect too, we’d had days of non-stop rain all during the week, so what a blessing. 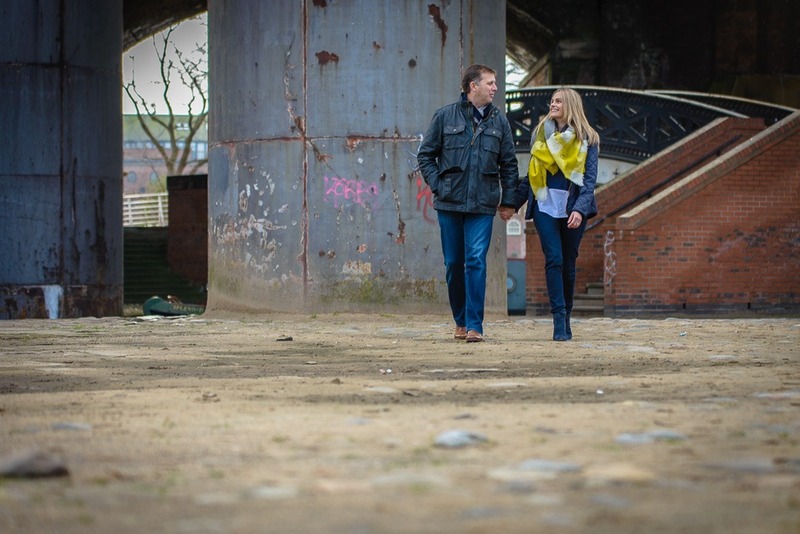 Manchester has loads of fantastic locations for engagement shoots if you take the trouble to have a wander around. Lots of new architecture has recently sprung up. Spinningfields has it’s mix of ultra modern buildings built on the side of the historic River Irwell. For those with an eye for classic buildings, Albert Square in the city centre has the lot with tons of photo opportunities within a few minutes walk. 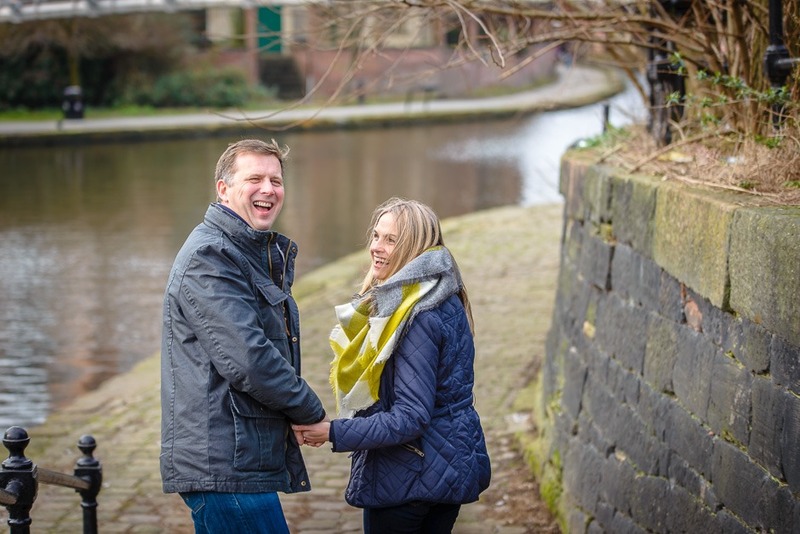 For a more countryside feel eshoot why not take a look at this Styal Village Blog, or how about a little Manchester greenery with Sarah & Martin’s gorgeous eshoot. 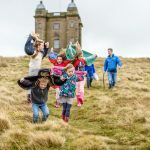 For a touch of the outdoors and a cute little dog take a look at this Bramall Hall shoot. 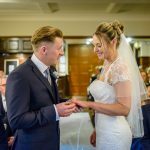 Win your Manchester Wedding Photography!